Prominent & Leading Manufacturer from Ahmedabad, we offer ss partition raceway, cable trunking raceway and industrial cable raceways. Our organization is engaged in offering a wide range of SS Partition Raceway. The ways offered by us are considered as a cost-saving system for routing and protecting cables under raised floors. These ways are widely demanded wire management in computer and communications rooms. Owing to their easy installation, low maintenance and durability, these ways are widely demanded by the customers. Clients can also avail these ways in customized forms as per their requirements. 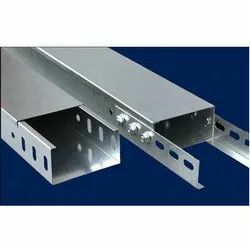 We are one of the prominent manufacturers and suppliers of Cable Trunking Raceway. 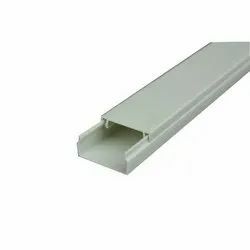 Our Cable Trunking Raceway are widely used in laying out underground cables and wires. We offer our Raceway in single or multi columns for installation of one or more cable connections simultaneously. Our range is extensively used in Telecommunications, Electronics, Electrical companies and others. The wire/cable covers of our company are appreciated all over the world for the chief properties like light weight, sturdy construction, and wet resistant finish. 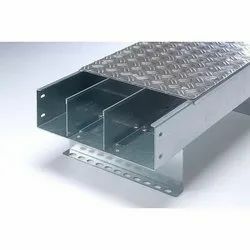 Industrial Cable Raceways used for laying underground cables these has a cover that is an essential part of these cable raceways as it has no center perforation with this it increases the system performance. Our offered range of cable raceways provides perfect solution for wiring management systems as these are mostly suited in commercial, residential and industrial environments. We offer our range in different industrial specifications made by the clients. Looking for Race Ways ?